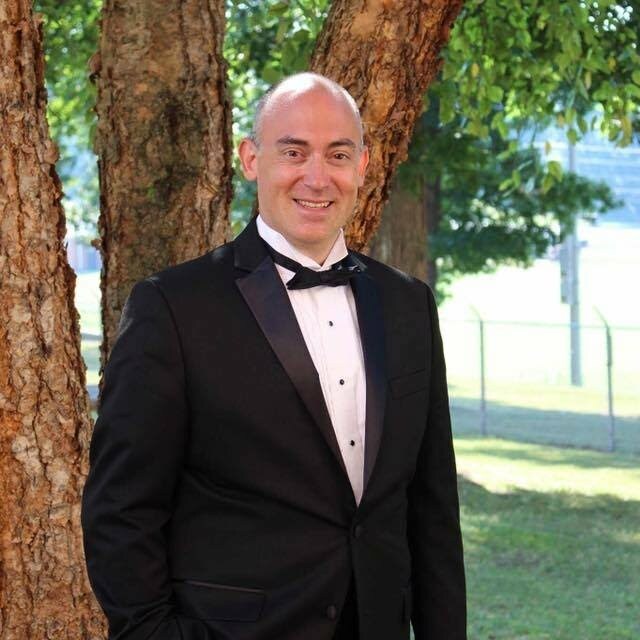 Mr. Nathan W. Hines is the current Director of Bands at Morehead High School. He holds a bachelors degree in Music Education from West Virginia University, with an emphasis in trumpet performance and orchestral and band conducting. Mr. Hines also holds a Masters Degree in Education and Special Education with additional concentrations in Curriculum Development, Applied Behavioral Analysis, and Autism Spectrum Disorder from California University of Pennsylvania. During his undergraduate studies at West Virginia University, Mr. Hines studied trumpet under Dr. Charles Whitehill and Dr. John R. Winkler as well as band and orchestral conducting under Mr. Don Wilcox, Director Emeritus of the WVU Band program, and the late Lawrence Christianson, former conductor of the WVU Symphony Orchestra. He was a member of trumpet sections for the "Pride of West Virginia" WVU Marching Band, WVU Wind Symphony, WVU Jazz Ensemble, and the WVU Symphony Orchestra. During his enrollment in the master of education program at California University of Pennsylvania, Mr. Hines served as a teaching assistant with the Cal U Marching, Concert, and Jazz Band programs. In 2014, Mr. Hines was awarded the Presidential Scholar Award for Academic Excellence, and later made an honorary member of the Kappa Kappa Psi Band Fraternity. Mr. Hines began his career in education at Kate Collins Middle School in Waynesboro, Virginia in 2001. During that time he served as band director for the 6th, 7th, and 8th grade programs. In 2003, Mr. Hines was named the Director of Bands at Chopticon High School in Morganza, Maryland. During his tenure at CHS, Mr. Hines was responsible for boosting enrollment in the marching band program from 27 to 80 members. The band earned several awards for marching and concert band during that time and was named the featured band at the 2007 Governors Inaugural Parade in Annapolis, Maryland. Mr. Hines has maintained an active schedule as a trumpet instructor and conductor and has worked with numerous band programs in Maryland, Pennsylvania and Virginia. He currently resides in Reidsville, NC.